Storm changes it up a little on the SP2 603 with more of an athletic shoe style. With these they are also introducing the interchangeable soles and heels technology on both shoes. The sporty style and creative colors bring a new look to the lanes that people seem to enjoy! I GAVE these as a gift. I do not know what the person thinks of them. Are these true to size in the wide width? Hello! As far as we have heard from other customers, these shoes do run true to size. The width on our wide womens shoes is a D width. 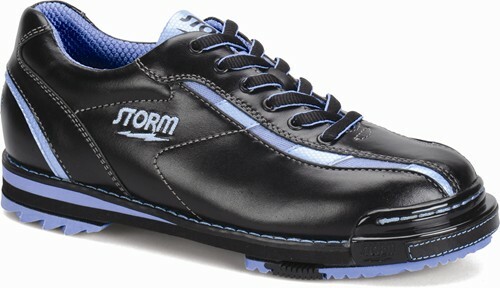 Due to the time it takes to produce the Storm Womens SP2 603 Black/Blue Wide Width RH or LH ball it will ship in 2 bus. days. We cannot ship this ball outside the United States.